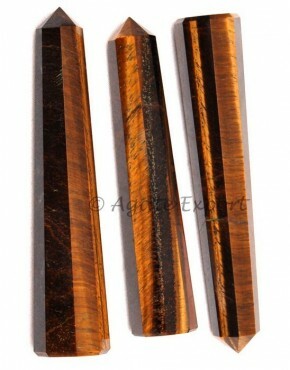 Tiger Eye obelisk point will balance energy in you and around you. It will heal issues related to eyes and throat. It is available on Agate Export.